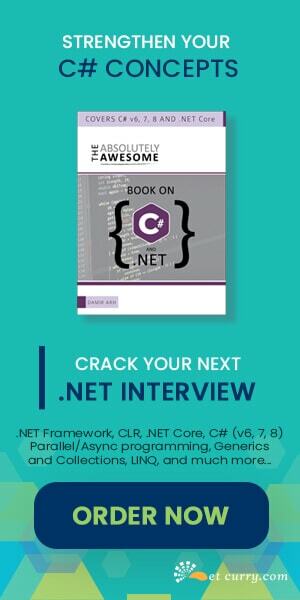 In this post, we will see a quick tip of how to change the source of an ASP.NET Image at runtime using jQuery. Create a new website. Create two folders called Scripts and Image. 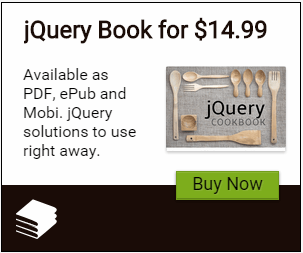 In the scripts folder, download the latest jQuery minified file. In the Image folder, add two different images of the same size. I have added dnc.png and devc.png. Time for some jQuery action! The code is pretty simple. We are using the new .on() function introduced in jQuery 1.7 to attach the click event to the button. We have provided an anonymous handler function at the point of the .on() call. The first line prevents the default form submission, the second line updates the image source and the last line disables the button control. You must be wondering why haven’t we used .bind() here. To know more, read my post jQuery 1.7: What happened to live and die? the code working fine but when i tried to get the imageurl property of asp:image control through ID it is returns the same value means the original that we initialized but i need jquey updated Imageurl how to get it???? ?